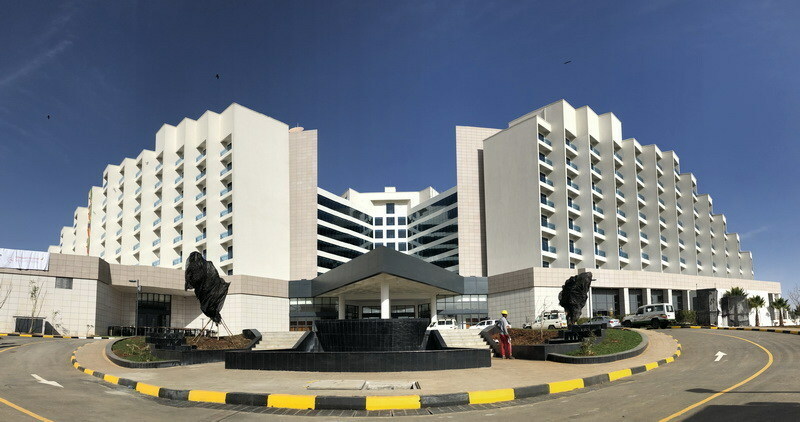 Grand Skylight Hotel, a renowned home-grown hospitality brand in China, has successfully launched her flagship hotel in Addis Ababa, the hub city of East Africa with world-acclaimed Ethiopian Airlines. This move signifies Grand Skylight’s international presence in Africa, and is an affirmative step in China’s Belt and Road Initiative, cementing Sino-Afro ties further. Ethiopian Airlines unveiled the Ethiopian Skylight Hotel in Addis Ababa, Ethiopia. His Excellency Prime Minister Abiy Ahmed and Ethiopian Airlines CEO Mr. Tewolde Gebre Mariam presided over and spoke at the grand opening. Ethiopian senior government officials, diplomats, international luminaries and global media representatives were among the close to 3,000 guests. Chairman of Shenzhen Grand Skylight Hotels Management Company (GSHM) Mr. Zhang Guochao addressed a noticeably impressed international audience. Source: Shenzhen Grand Skylight Hotels Management Co., Ltd.